The Akamai AK-B baritone ukulele has top, back and sides crafted from Eastern Mahogany wood that delivers a clear and crisp tone. The Akamai AK-B baritone ukulele has top, back and sides crafted from Eastern Mahogany wood that delivers a clear and crisp tone. Every Kohala Akamai Series Ukulele comes equipped with geared tuners, rosewood fingerboard, and Aquila strings. 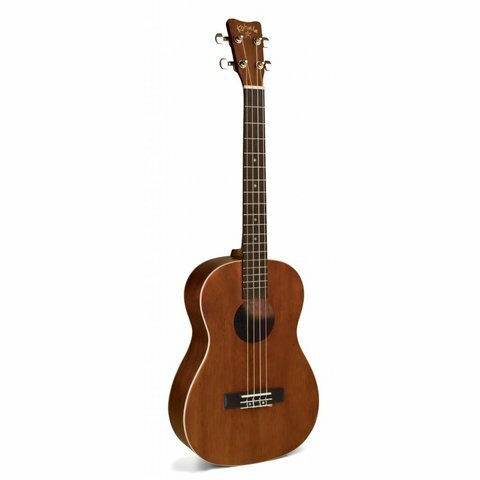 This uke is perfect for the new player as well as the uke enthusiast. In Hawaii “Akamai” translates to “Smart” or “Clever” – you’ll feel both when you pick up a Akamai AK-B Ukulele from Kohala!